Pooram festival in Kerala is one of the well known temple festivals and especially Thrissur Pooram is very popular. A US based Thrissur native Rajeevan Panakkal is in the process of recording the festival in a 3D documentary format to convey the complete essence of it to the Malayalees and to all those who are interested. Another team is involved in filming preparations of the festival like cleaning of ponds, poojas, meetings, parasol-making and the construction of the pandal. 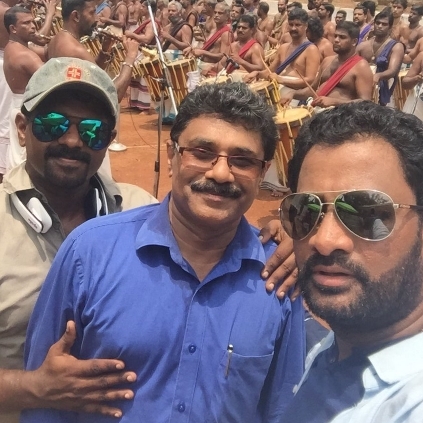 Resul also tweeted, “The men behind the #PooramRecording Rajeev Panakal and Prasad Prabhakar, my pillar of strength!” "The biggest sound event in the world is being recorded live as we speak#PooramRecording #ThrisurPooram". This sure is going to be one important documentary in understanding the complete essence of the Pooram festival especially for all those who have not witnessed it live. People looking for online information on Pooram festival, Resul pookutty will find this news story useful.